As a business owner, the health and safety of your employees should be a top priority. Not only are healthy employees happier, but they are more productive, too. Ultimately, having high health and safety standards will also reduce costs to your business since insurance premiums will be lower with a cleaner safety record. 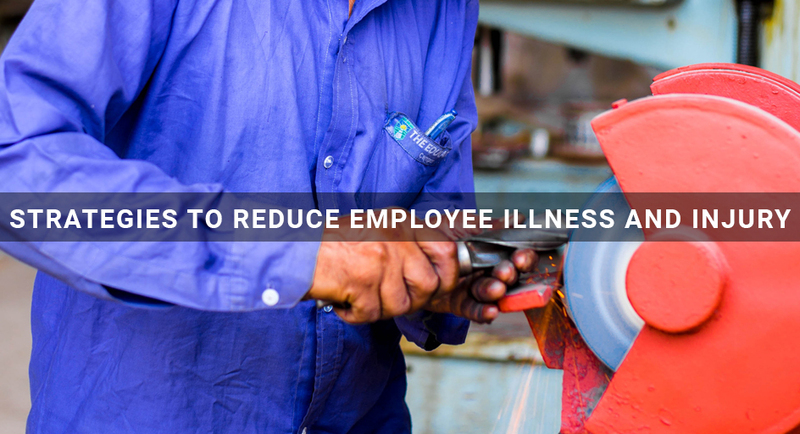 Additionally, having employees that are healthy and able to work will reduce costs that would arise from loss of productivity or hiring and training in the case that your employee has an accident and is unable to continue. Workplace injuries or illnesses can occur for a number of reasons. Improper application of safety procedures or protective gear, misuse of equipment, lack of ergonomic solutions, and overexertion from overtime work are common themes that lead to workplace injury–or even death. It is important to pay attention to the past injuries or accidents that have occurred at your business, so you can plan to prevent them in the future. The best way to ensure that health and safety standards are met in your workplace is to regularly educate both management and staff about the proper procedures. While everyone may receive this kind of training in orientation, employees that stay on for several years will eventually forget what they learned and may unintentionally lapse in their duties to uphold the company’s standards. For this reason, it is a good idea to schedule employee health and safety refreshers at regular intervals. With regular meetings about wellness and safety comes an increased awareness of the unique safety concerns that may be present at your business. Each type of business will have its own specific concerns. Meetings can be an excellent way to hear the concerns and opinions of all employees and identify matters that may need to be investigated or procedures that may need to be adjusted. If your business does not already have a health and safety plan, use these meetings to develop one based on the input of your management and staff. Implementing high health and safety standards can do a lot to reduce the frequency of employee illness and injury, but accidents may still happen. In the case that they do, you want to make sure your company has the right insurance coverage to take care of your employees and prevent losses to your business.